If you didn't already catch part 1 of this episode, follow the link so you don't miss any of the details on Mod-Palm Springs. Part 2 brings us a lively pre interview with Rory Snyder. As a Palm Springs local, Rory shares some PS hotspots to check out while in town. Take a look at all the great places you may want to sip a drink when visiting our desert oasis: Tropicale, El Jefe at Saguaro Hotel, Ace Hotel and Swim Club, Trio Restaurant. Rory Snyder, Sunshine Tiki and Marty Lush enjoy a quiet moment after recording the podcast. Marty Lush joins us next behind the microphone. A multi talented artist, Marty shares some great conversation and fills us in on two of his current passions. Marty Lush and the Latin Livers will be playing LIVE at Mod. Catch two awesome lounge tunes from the band just to wet your whistle until we have the pleasure of seeing and hearing them in the flesh. If you can imagine sitting in a dimly lit Vegas cocktail bar with the swankest of fresh latin jazz, then you won't want to miss this interview and the music. Marty is also continuing to produce the Quiet Village podcast which we have recommended many times over the years. When you need to find that rare exotica and just don't know where to turn, chances are you can hit up the Quiet Village page and find what you are looking for. The podcast is always a solid display of old school radio format music/dj commentary that educates and entertains. Listen to Quiet Village Podcast. Words would fail to showcase the rest of the show this week. Will Marty perform a Bizarre Love Triangle Cha Cha? Does Rory find his long lost twin sister in Peoria? Can Kalani remember where she put her car keys? You have to listen to find out. 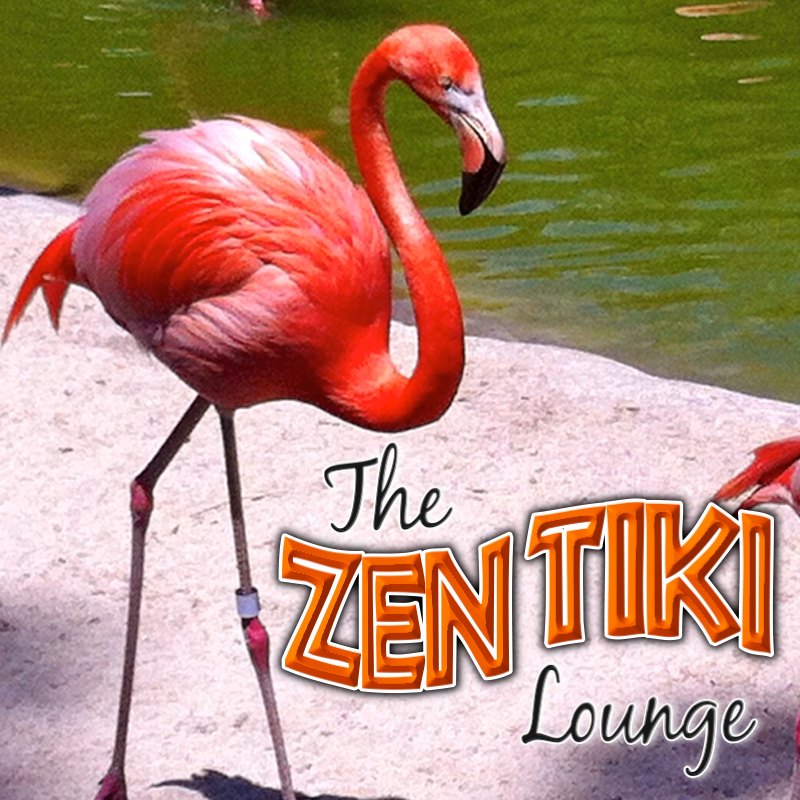 While recording this podcast, your hosts and guests enjoyed drinking The Three Legged Flamingo.